Take one bowl, add broken wheat, wheat flour, bajre ka ata, methi, curd, green chilly paste, ginger paste, salt, turmeric powder, gram masala, lemon juice, sugar, soda and mix well. make semi soft dough. Do not use water to make dough. if required then u can add curd. make small bolls and steam for 1 /2 hour on high flame. Heat oil in tadka pan, add mustard seeds, let them splutter. Add curry leaves, sesame seeds ,hing and add muthiya and mix well. Cook for 2 to 3 minutes. 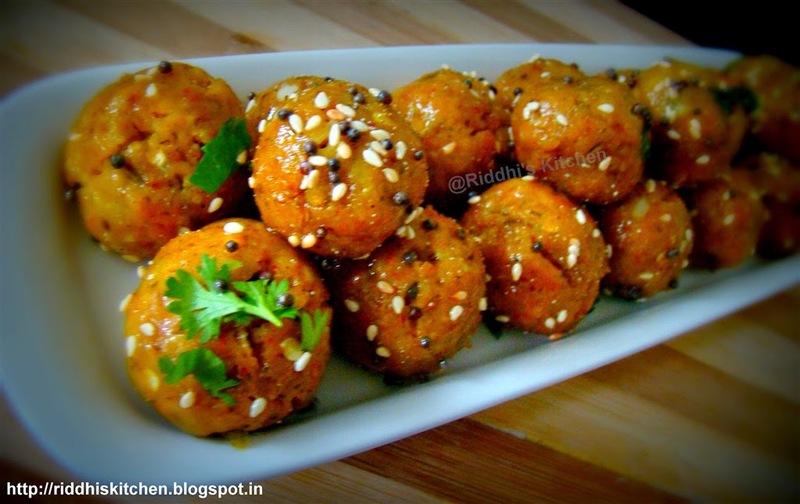 garnish with coriander leaves and serve hot with masala curd.